A co-signer is an individual who adds their name to a primary borrower’s loan and takes responsibility of the debt if the borrower defaults. Co-signers should have good credit scores with measurable credit history. A co-signer improves the borrower’s chance of approval and can get them a lower rate. Simply, a co-signer is a safety net for a lender and a gateway for a borrower. 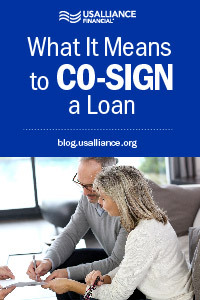 Co-signers are typically close friends or family to a borrower. For example, a student looking to finance college may ask a parent to co-sign a student loan. 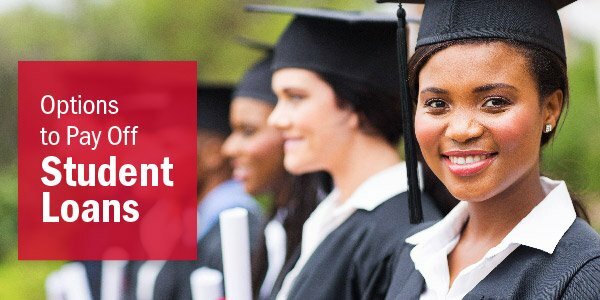 The parent likely has a longer credit history and can increase the student’s chance of receiving the loan. Being a co-signer does not mean splitting the loan, but rather taking on the contractual responsibility to guarantee complete payments. Until the debt is paid, lenders expect the co-signer to pick up payments and make them on time if the borrower does not. 1. You can afford the risk. You’ve considered the impact of sharing the responsibility of the loan and can handle it. Maybe you have a good cash flow to cover yourself in case of a default or you trust the borrower to complete payments. Keep in mind that cosigning a loan doesn’t last a few months—you’re responsible for the lifetime of the debt. 2. You help an applicant establish or re-establish credit. Without having credit, it’s hard to build credit. First-time borrowers don’t usually have a solid credit score or history that make lenders comfortable approving a loan. Co-signers help people who could face a rejection due to bad credit history. Basically, co-signers are a confidence boost for lenders who help a borrower gain approval. Also, a co-signer may help a borrower qualify for a lower interest rate. 3. You're sharing the loan. It might make sense to co-sign if you’re borrowing with someone. Say you’re sharing a big purchase (e.g. car or house) with a partner and that partner needs a credit boost. Take the opportunity to help build their credit and get approval. 1. You can't remove yourself from the loan. Once you sign on as a co-signer you can’t be released. You accepted the responsibility and are tied to the debt until it’s paid. Some loans have a co-signer release clause: the borrower can remove you after establishing a credit history. However, this clause is not ubiquitous. The only other way to get released would be if the borrower refinanced and re-qualified for the loan on their own. 2. You can't afford the risk. Co-signing increases your debt-to-income ratio. You’re attached to the loan, so the loan and the monthly payments show up on your credit report, regardless if the borrower makes payments. Having a higher debt-to-income ratio may impact your ability to get new credit (or low interest rates on new credit) as well as lower your credit score. Because your score takes the amount of money you owe into high consideration (30%), having more debt could cause your score to take a hit. 3. You could destroy your credit score. Communication is key between borrower and co-signer. Late or skipped payments have major negative effects on your score because you’re 100% liable. If you receive correspondence from collectors, damage has already been done to the good credit you’ve worked years to build. The borrower had difficulty qualifying in the first place, so proceed with caution. There’s a reason the lender isn’t confident the borrower can re-pay in full and on time. You should be fully prepared to take on the loan and risk (including legal action) if the borrower can’t follow through. Buddy or no buddy, it’s your credit at stake when it comes to signing a loan. Cosigning is a personal choice. You have to consider the effect it will have on you. If you can’t afford to take on payments and fees in the event of a default, don’t accept the risk. If you’re not planning on financing something in the near future, it might make sense to help a borrower—just remember the impact of a high debt-to-income ratio. Co-signing a loan helps a borrower become financially independent faster (e.g. helping a child with student loans) or help someone build or re-build credit (e.g. helping a cousin get off the ground). 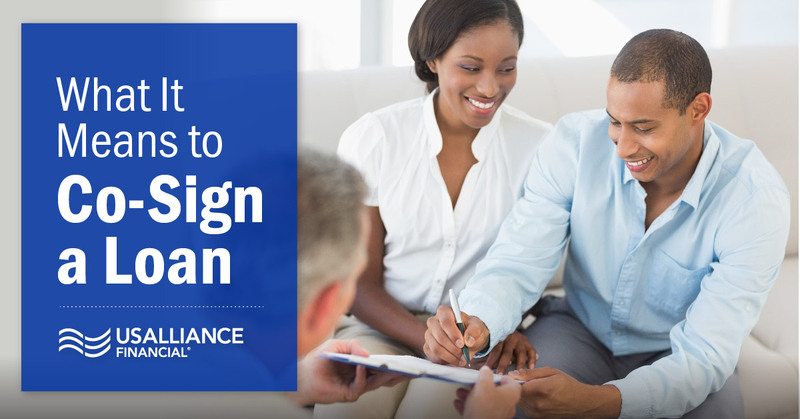 Though co-signing a loan may seem intimidating, it can have great benefits. Looking into applying for a loan?